As a college student, you would hope to attend an institution that values enlightened ideals and sound investments. However, at many universities across the country, portions of large endowments have long been used to support the fossil fuel industry. 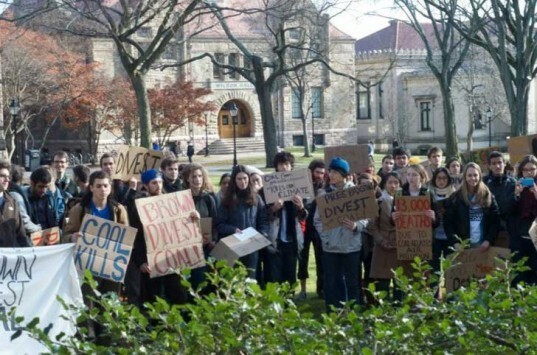 Joining over 300 schools around the US, Brown University is seeking to divest from dirty power. Receiving support from such organizations as 350.org, the Sierra Club, the Responsible Endowments Coalition, and As You Sow, the student-run campaign is asking the administration to pull its money from 15 coal and mining companies. 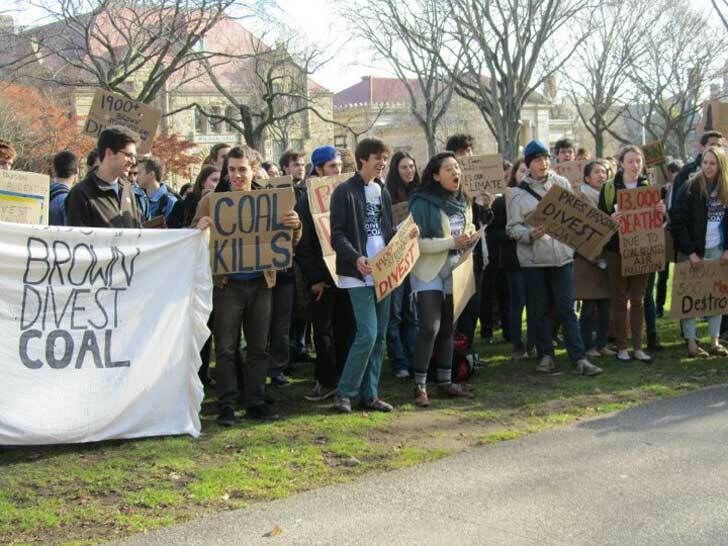 The Brown Divest Coal Campaign has been gathering momentum in asking their governing bodies to rid the school’s portfolio of investments in coal.The university has already divested from the Sudan, HEI Hotels, big tobacco, and South Africa during apartheid. By cleaning up its act, only 0.1% of the total $2.5 billion of Brown’s endowment will be affected. Proponents of the action strongly believe that their institution “should not be profiting from an industry as dangerous and outdated as coal, which devastates human health and the environment at each step in its life-cycle.” In addition to ensuring a more morally balanced portfolio, the campaign is also creating a new wave of environmental activists. As with their colleagues in other institutions, students have been holding marches and demonstrations to capture the attention of the administration and board of trustees. The Advisory Committee on Corporate Responsibility in Investment Politics chaired by Chris Bull has joined their efforts, giving its recommendation that Brown pull its shares in such corporations as Duke Energy, Arch Coal, and MidAmerican. While it is not clear whether or not these companies have yet to feel the sting of universities giving them the boot, the movements send a powerful message to the market that the future of the nation is looking towards a cleaner and more sustainable future. The campaign hopes to encourage the school to vote to divest later this month with over 3,200 signatures from students, faculty and alumni.